Hokkaido Travel Tips - weather, temperature and clothing / 0 yen tourist spots and recommended paid spots (with extras). Hokkaido, it's a popular travel destination in Japan. The scenery in Hokkaido is very different in the four seasons. Enjoy our Hokkaido photos at home, at school, or even at your workplace in wherever you may be. When you plan to visit Hokkaido, this information will be useful for planning. Information on both “0 yen tourist spots” and “Must-see paid spots with extra benefits” are archived in our blog. We introduce some example articles here. We are happy if we can help you enjoy sightseeing in Hokkaido! In the main category on the blog, we use areas' names. When you decide your route, you could easily make your travel plan. Tourist spots information and other information such as “Nature and Park” or “Food”, is included in each article. This is as a sub-category. 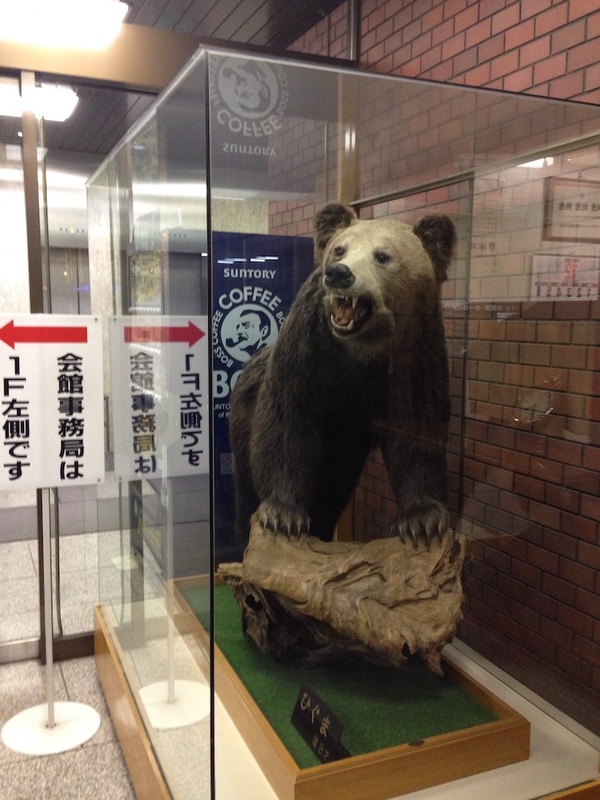 There is a big stuffed Higuma-bear at the entrance of this building. According to the sign, it is eight year-old male bear. As a lot of people use this entrance, please be careful not to get in the way. This place is not really meant as a tourist spot, but you can take a photo if you a nice and quick about it. This shop is located in Tanuki Koji 5-chome. HUG-Mart is a shop and HUG-eat is a food court. HUG-Mart sells food (farm, stock farm and marine products, and processed food). 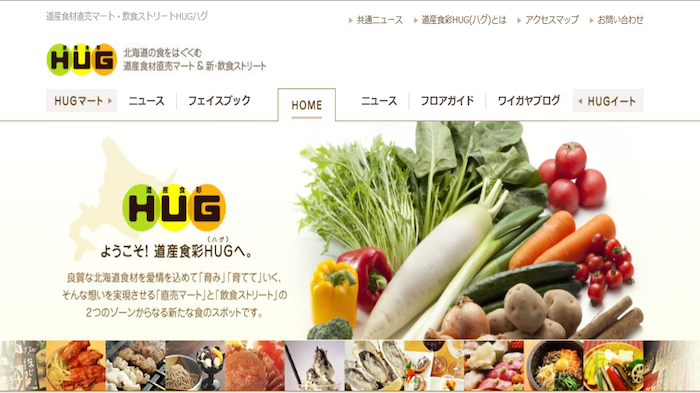 At HUG-Eat, you can enjoy eating food using ingredients produced in Hokkaido. This park was formerly used as a quarry. In those days, Sapporo Nanseki (Sapporo soft stone) was quarried here, and was used as a building material. As the land is covered with snow in winter, summer is the best time to enjoy this spot. 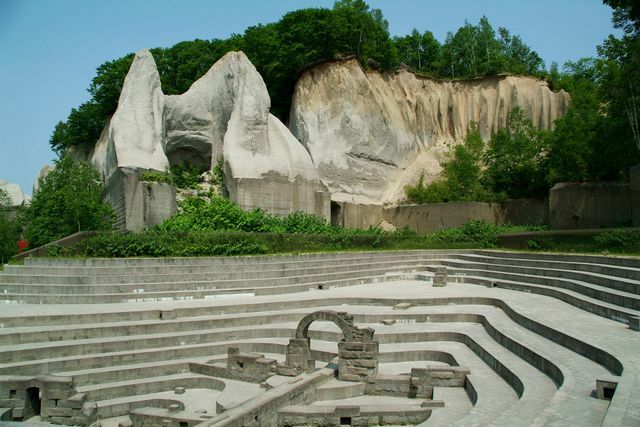 This park was revitalized by a group of sculptors in Hokkaido. The music concerts are sometimes held the square called Negative Mound. 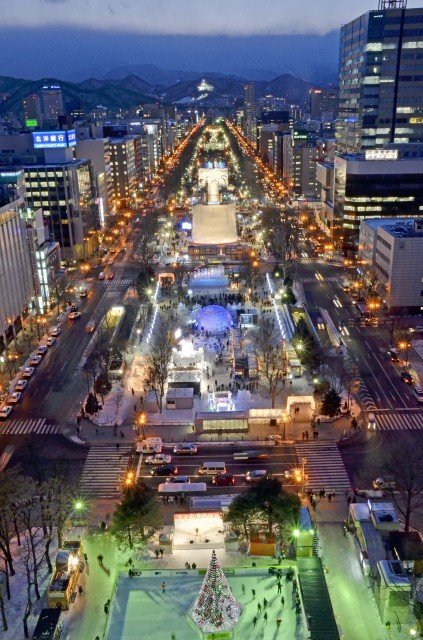 You can get a good view of Odori Park and buildings in the center of Sapporo from the observation deck which is 90 meters high. 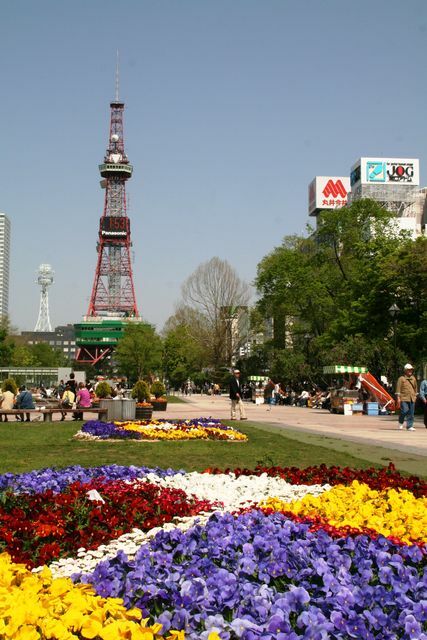 The vista of Odori Park shows seasonal changes beautifully, and it is a romantic scene in any season. This view is almost always used in travel guidebooks on Hokkaido. In winter, you can see White Illumination and Sapporo Snow Festival here, and they are among the most famous of Hokkaido's tourist experiences. The elevator to the observation deck and shops is on the third floor, and also there are free seats to have a rest for anyone on the third floor. However, if you have a ticket, you can also take advantage of much better seats at the western side of the tower, which provide a beautiful view of Odori Park. There is a also vending machine for drinks. Copyright(C) Hokkaido Travel Tips All Rights Reserved.